I remember in the early 60's when my dad pointed to a woman's picture in the Sear's and Roebuck catalog. "That's a relative of yours." The woman was Shirley Englehorn and she was standing next to a set of her signature clubs. Now that I help put together this web site I wanted to link to a biography of her. Unfortunately the information on Shirley is spread all over the web. So, this page will bring it all together. OVERLOOKED: The LPGA Tour omitted Shirley Englehorn when it listed the small group of players who had won at least four consecutive starts. Englehorn won in St. Louis in 1970, took the next week off and then won the next three, beating Whitworth in a playoff for the LPGA Championship and her fourth straight win. Those were the only tournaments she won that year. 1967: Runner up in the LPGA championship (285) played at Pleasant Valley CC in Sutton MA. 1970 May 17: Wins LPGA Johnny Londoff Chevrolet Golf Tournament. Played at Glen Echo CC in St. Louis. (285) She defeated Kathy Whitworth with a four-stroke victory in a sudden death playoff round. "Marilyn Smith asked me about my play in St. Louis, and wanted to know what I was thinking about. I told her I was thinking about 'Rain Drops Are Falling On My Head' Shirley, that's 'Rain Drops Keep Falling on My Head.' It had great rhythm for the golf swing. It was almost hypnotic." 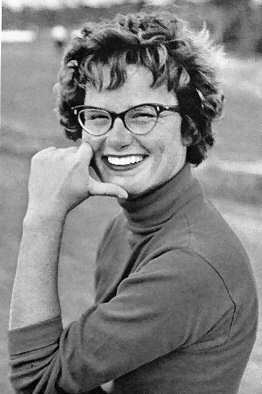 1972: US Women's Open - Shirley Englehorn had not played tournament golf in over a year following an operation to fuse her ankle bones. In fact, she had not walked 18 holes until the week before the Championship. Yet she led after the first round with a 72 and held her lead with a 75 in the second round for 147. The next day she could not keep up the pace and scored an 82. 1991: Presented with the Ellen Griffin Rolex Award, one of the highest awards for golf instructors. The Ellen Griffin Rolex Award, instituted by the LPGA T&CP Division in 1989 to honor the late Ellen Griffin, recognizes an individual, male or female, who has made a major contribution to the teaching of golf and who emulates Griffin's spirit, love and dedication to students, teachers, teaching skills and the game of golf. 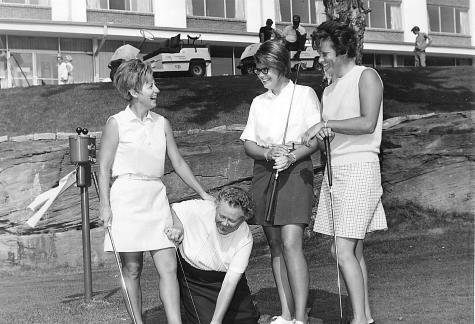 Griffin, who passed away in 1986, was one of the best-known women's golf teaching professionals in American history. This LPGA Master Professional has been teaching golfers the basics since 1962.